Home Research Affiliate Faculty Todd Brusko, Ph.D.
Todd M. Brusko, Ph.D. conducted his graduate training at the University of Florida, College of Medicine in the Interdisciplinary Program in Biomedical Sciences. While there he was awarded the Graduate Fellowship for Outstanding Research Award for his work in the laboratory of Dr. Mark Atkinson. Dr. Brusko went on to conduct his post-doctoral fellowship at the University of California, San Francisco (UCSF) under the mentorship of Dr. Jeffrey Bluestone. Dr. Brusko’s work at UCSF was supported by a prestigious Advanced Post-Doctoral Fellowship Award sponsored by the JDRF. This work contributed to the first clinical trial employing regulatory T cells as a potential treatment for type 1 diabetes. 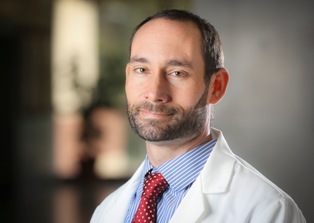 Dr. Brusko and his staff of diabetes researchers at the University of Florida are dedicated to the development of safe and effective therapies to prevent and reverse type 1 diabetes. His laboratory works in close collaboration with Michael Haller, M.D. and Desmond Schatz, M.D. to conduct mechanistic studies in ongoing clinical trials and generate novel avenues for therapeutic intervention. The Brusko Laboratory focuses on studying the human immune response in individuals that develop autoimmunity in an effort to develop better ways to predict, intervene, and ultimately treat individuals with type 1 diabetes. The laboratory is particularly interested in the fundamental events that control T cell activation and expansion, as these events are defective in individuals that develop type 1 diabetes. Of the various pathways that control immune responses, regulatory T cells (Tregs) have been shown to be central in controlling T cell activation and preventing diabetes development. Prior studies have already shown that antigen-specific Tregs can prevent, and even reverse diabetes in animal models. A major effort within the Brusko laboratory involves the generation of antigen-specific human Tregs to specifically suppress the immune response targeting islet beta-cells, while leaving the immune response to foreign agents intact. Additional studies are focused on identifying the genetic factors that lead to a breakdown in the mechanisms that maintain immune tolerance. These studies have identified several susceptibility genes that lead to defects in both the innate and adaptive immune responses in patients with T1D. The goal of these studies is to develop targeted therapies in an effort to correct specific defects in pathways that lead to disease. What if… we could use a patient’s own immune system to correct the autoimmunity that causes type 1 diabetes?